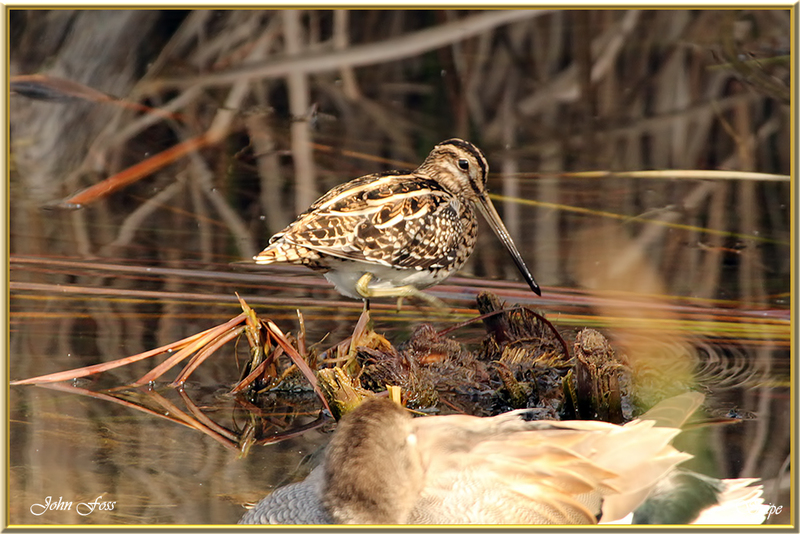 Snipe - The Snipe is in a recent decline in Europe. 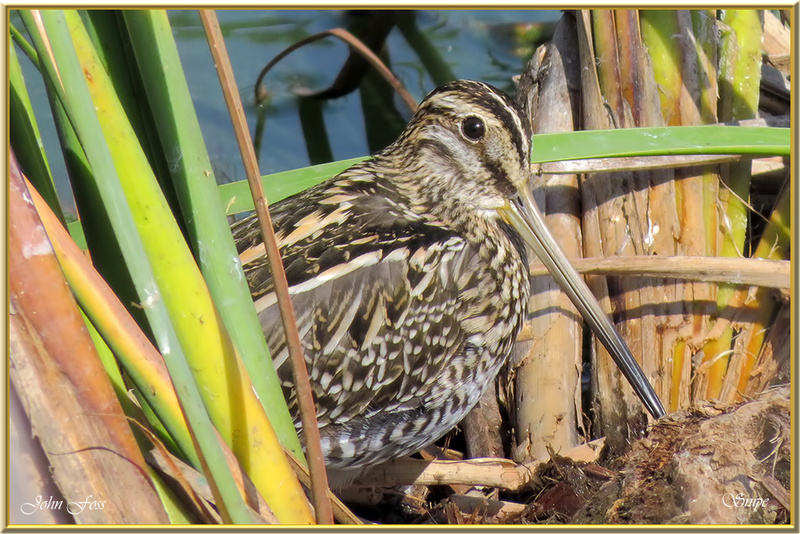 Very difficult to see as it is well camouflaged in its surroundings. That being wetlands, bogs, rivers and ponds. 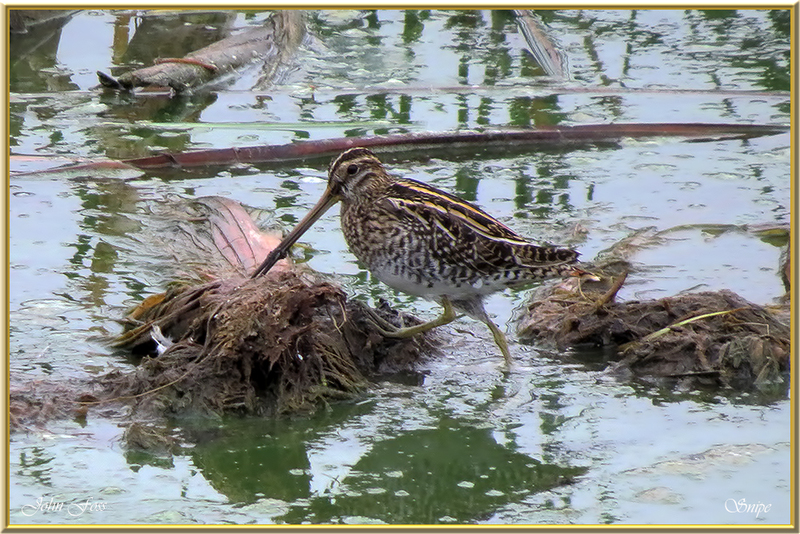 It feeds on aquatic insects by probing mud with their long bills. When disturbed it flies in a zig-zag pattern. Because of this it is difficult to hunt. 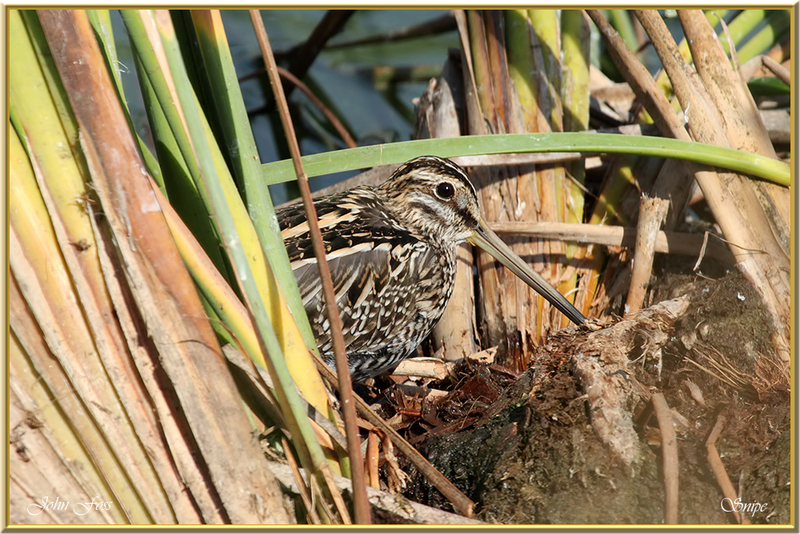 The word "sniper" as in marksman derived from the difficulty in hunting this bird. 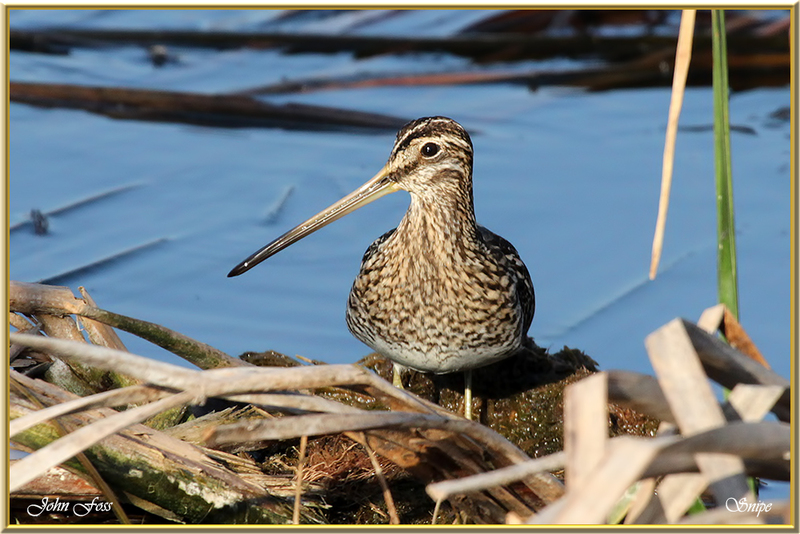 I have yet to see one of these birds in Ireland or Britain. 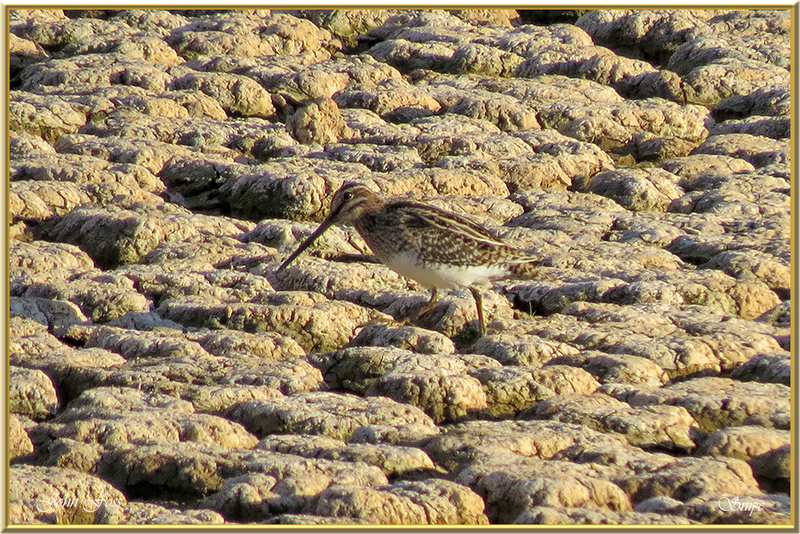 I was lucky enough to come across these bird sin the Algarve at Quinta Do Lago Portugal in October.